The Feast of Corpus Christi was celebrated this past Sunday. In our parish it was also First Communion weekend. 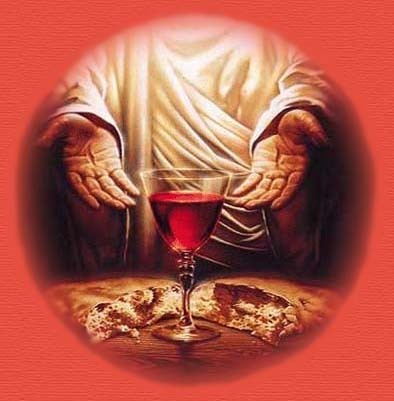 The Real Presence of Christ in the Holy Eucharist was one of the pivotal reasons I entered into full communion as a Roman Catholic. Yet I felt this Sunday that for numerous reasons, Christ’s Presence is hidden. We become so engrossed in the externals of our faith. For some this means focusing upon the tradition and ritual as it is expected and understood. Processions, certain songs (In English or Latin), and for the sacrament of First Holy Communion, clothing and gestures all fill the time and heart with the stuff, the externals of what should be a simple and genuine faith and love. Others may not focus upon the seeming older traditions but instead will focus on the Body of Christ as THE PEOPLE OF GOD, emphasis on THE PEOPLE. With this focus we often experience so much awareness of the community we lose ……our communion, with Christ. Perhaps, now that the celebrations are past we can simply remember their intent and and simply celebrate…Christ.